EXCLUSIVE AT NET-A-PORTER. 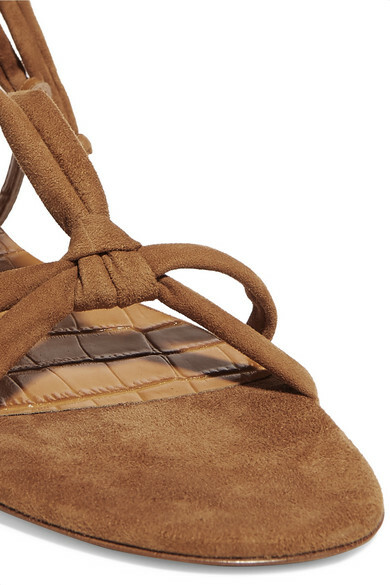 Our capsule collection with Gabriela Hearst focuses on flats. 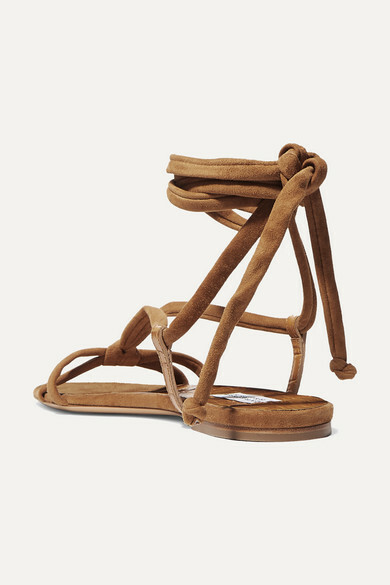 These 'Reeves' sandals have been made in Italy from sand suede and detailed with touches of croc-effect leather. Fasten the slender ties into neat bows at your ankles or crisscross them a little higher so they reach calf height. 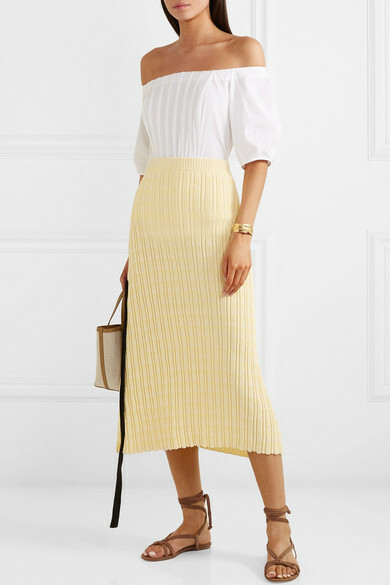 Shown here with: Gabriela Hearst Top, Jil Sander Skirt, The Row Tote, Chan Luu Bracelet.